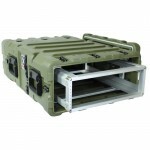 Ameripack, the world leader in military cases and other hard cases, offers a variety of rotomold cases for transporting a wide variety of military goods, technical equipment and other specialized gear. 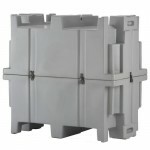 Rotomold cases (short for rotationally molded cases) are thermoplastics, made using the rotational molding process. 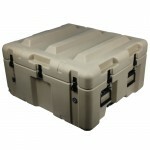 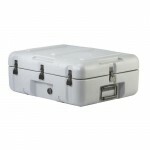 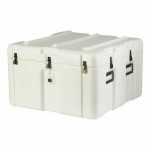 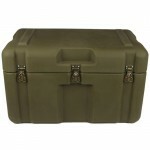 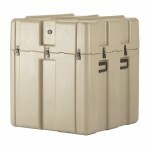 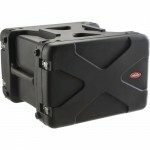 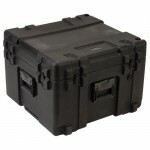 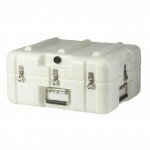 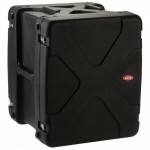 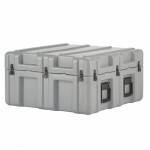 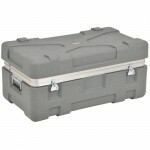 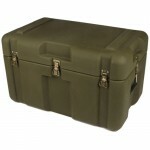 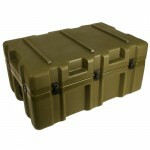 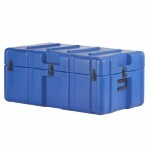 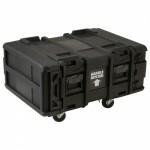 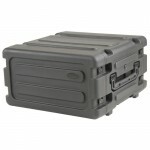 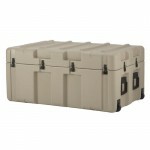 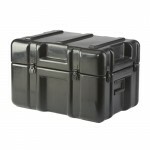 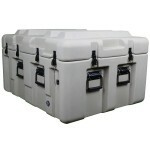 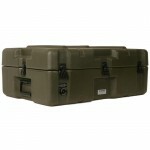 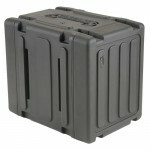 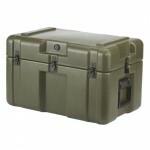 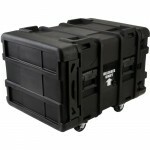 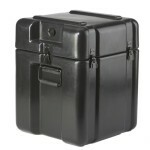 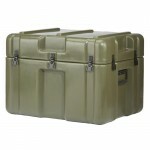 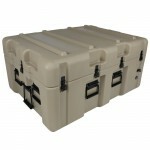 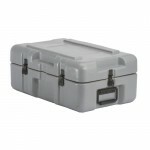 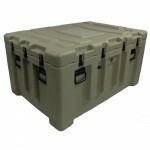 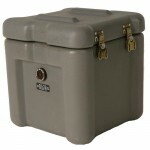 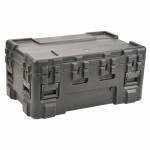 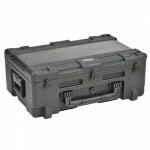 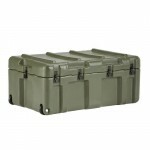 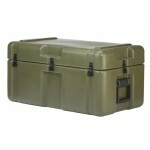 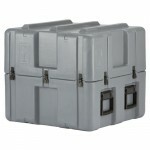 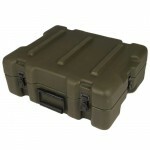 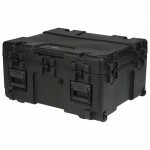 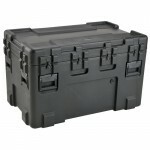 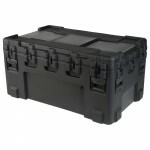 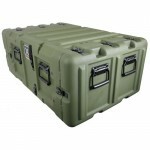 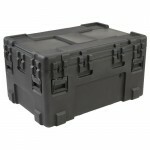 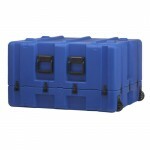 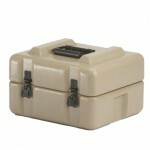 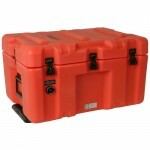 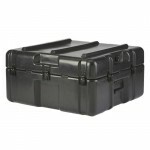 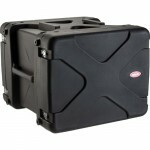 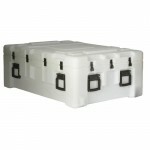 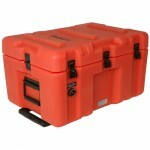 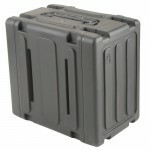 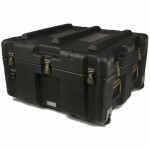 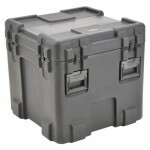 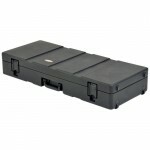 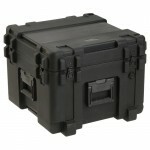 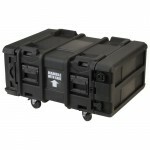 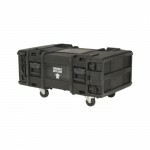 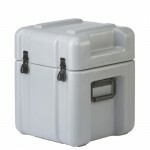 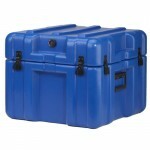 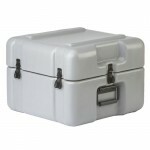 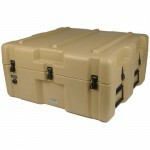 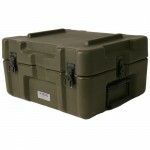 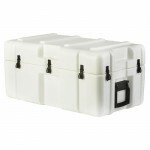 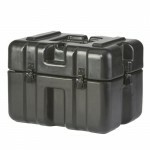 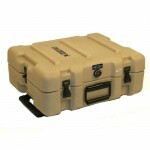 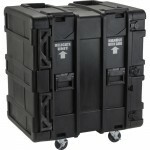 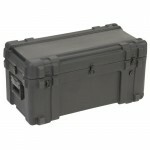 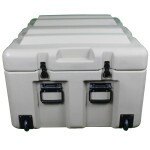 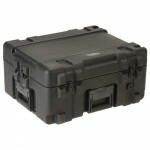 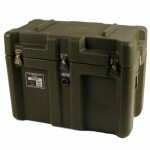 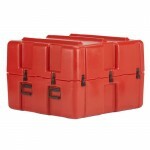 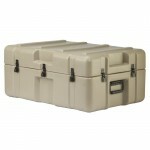 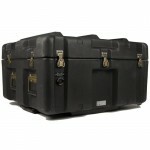 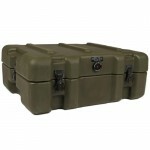 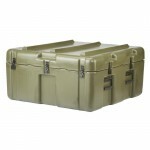 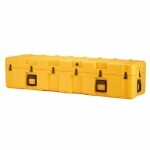 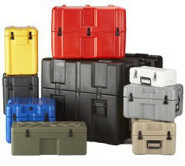 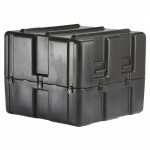 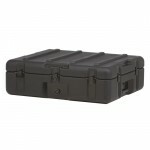 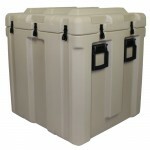 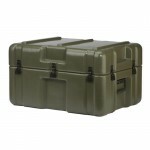 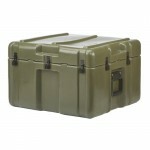 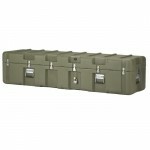 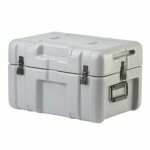 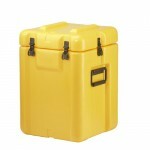 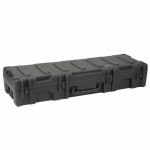 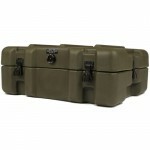 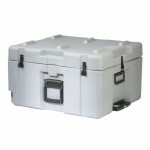 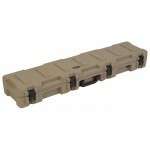 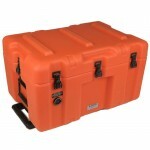 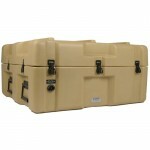 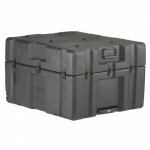 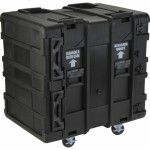 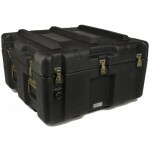 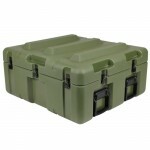 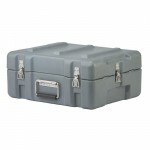 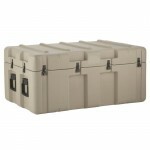 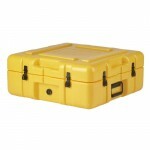 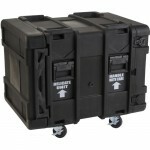 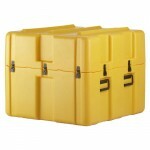 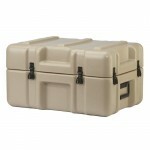 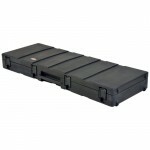 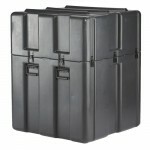 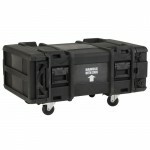 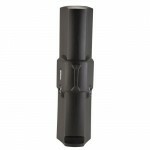 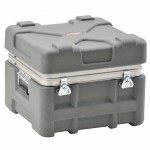 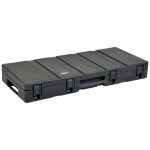 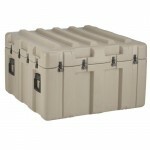 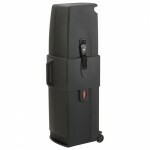 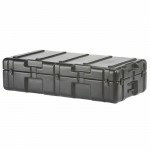 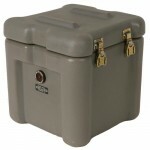 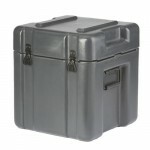 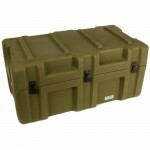 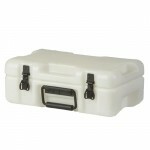 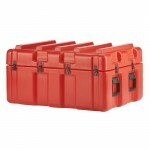 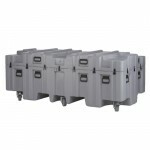 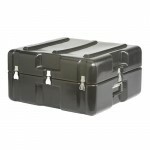 Or View Ameripack’s complete selection of roto molded cases. 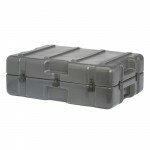 Ameripack’s inventory of roto molded cases (or rotationally molded cases) changes routinely, so it is listed on a separate page. 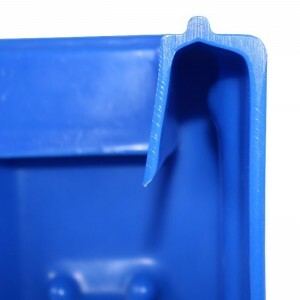 The process of roto molding was actually invented in the 19th century and it has been used popularly since the 1940′s but in recent decades, it has increased greatly in usage due to improvements in the rotational molding process. 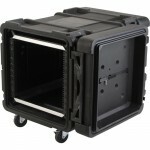 Rotational molding uses a heated mold that melts the plastic and rotates so that the plastic forms to the inside of the metal mold. 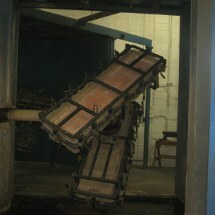 This process is different from other processes related to thermoplastics, such as injection molding and blow molding. 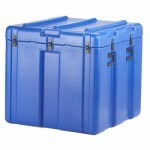 Because this process requires the mold to be heated and cooled, it takes considerably longer to produce product than other molding process like injection molding. 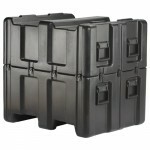 Roto molding has a number of advantages including that it is much easier to produce larger cases using rotational molding. 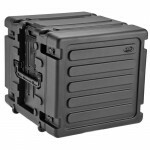 Rotational molding will naturally produce thicker plastic corners and edges with thinner flat walls making it the ideal solution for a lightweight, yet very rugged and durable hard case. 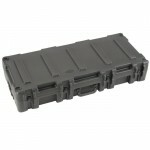 Roto molding also creates much less waste than other molding processes; excess material is ground down to be reused. 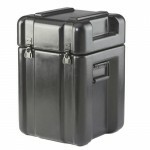 From the manufacturer’s perspective, roto molding also offers the ability to experiment with wall thickness to achieve an optimal ratio of material used to end product quality; other molded cases do not benefit from this option. 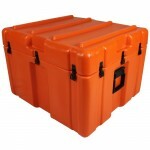 All of this requires more care on the part of the manufacturer: roto molded cases are produced in less mass than other molded cases and tend to have superior strength and durability. 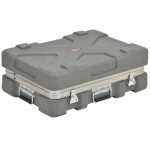 This makes the hard case hardware and features much more easily customizable. 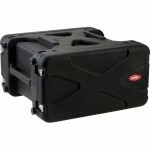 In the manufacture of roto molded cases, no name is trusted more than Ameripack. 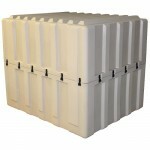 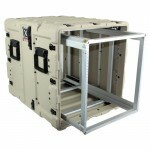 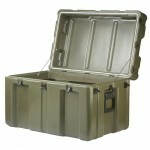 Ameripack designs and manufactures the most innovative roto-molded shipping cases and transit containers. 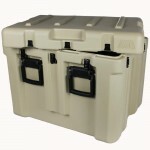 Ameripack has an unparalleled ability to customize to your specifications, with advice on best solutions culled from our deep experience. 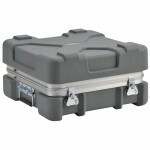 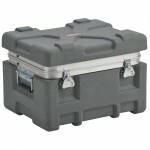 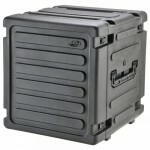 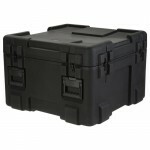 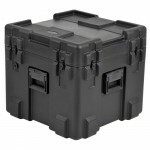 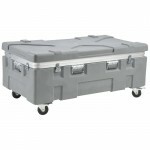 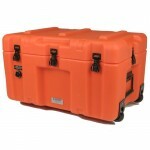 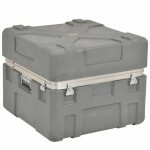 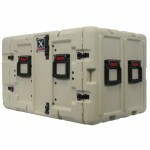 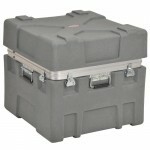 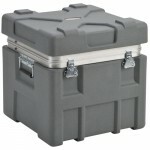 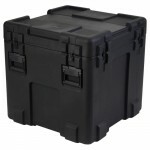 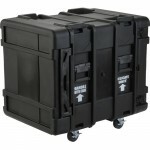 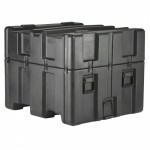 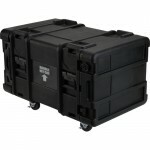 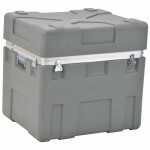 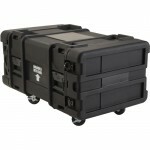 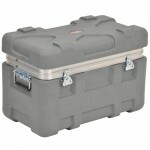 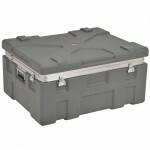 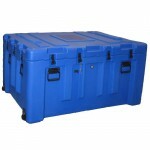 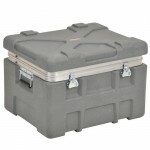 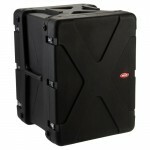 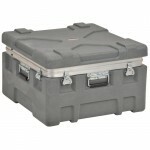 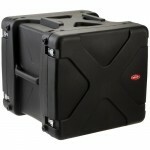 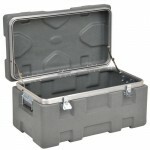 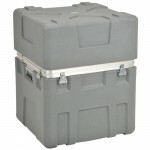 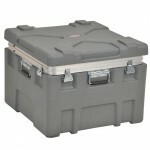 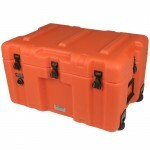 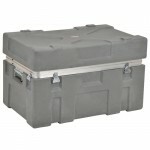 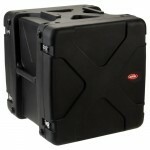 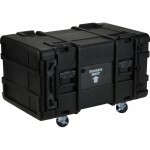 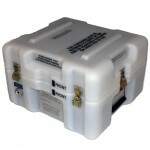 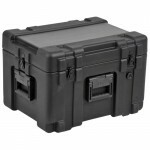 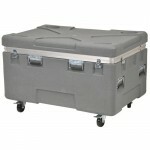 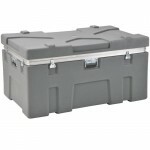 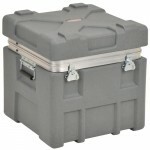 All roto molded shipping cases by Ameripack comply with the ATA 300 category 1 specification. 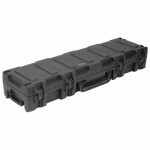 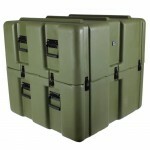 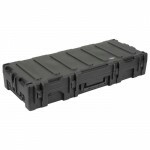 In addition, Ameripack’s roto molded cases conform to the most rigorous specifications of the American military and the US federal government, including the 810F and 810G Mil-Spec. 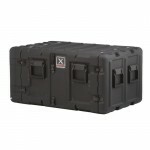 HxWxD: 3U x 19.00" x 24.00"
HxWxD: 11U x 19.00" x 24.00"
LxWxD: 50.50" x 19.50" x 7.00"
LxWxD: 60.25" x 19.75" x 7.25"
HxWxD: 6U x 19.00" x 20.00"
HxWxD: 8U x 19.00" x 20.00"
HxWxD: 10U x 19.00" x 20.00"
HxWxD: 12U x 19.00" x 20.00"
HxWxD: 14U x 19.00" x 20.00"
HxWxD: 19U x 19.00" x 20.00"
HxWxD: 6U x 19.00" x 24.00"
HxWxD: 8U x 19.00" x 24.00"
HxWxD: 10U x 19.00" x 24.00"
HxWxD: 14U x 19.00" x 24.00"
HxWxD: 16U x 19.00" x 24.00"
HxWxD: 4U x 19.00" x 28.00"
HxWxD: 6U x 19.00" x 28.00"
HxWxD: 8U x 19.00" x 28.00"
HxWxD: 4U x 19.00" x 30.00"
HxWxD: 6U x 19.00" x 30.00"
HxWxD: 8U x 19.00" x 30.00"
Contact us for more info about custom rotomold projects or additional info.